The only thing that marks the change in seasons in San Diego is the top billing pumpkin spice lattes get at our coffee shops. Other than that, it's hard to tell that the Earth has moved enough to warrant a shift in wardrobe to now incorporate jackets and plaid flannels. While the unrelenting sunshine is likely why you live here in the first place, sometimes it's nice to actually remember that other places have four seasons. So we dug up some of the best ways to make believe without having the looming winter in our periphery. Just under an hour and a half from San Diego, Julian is famous for its apple orchards. 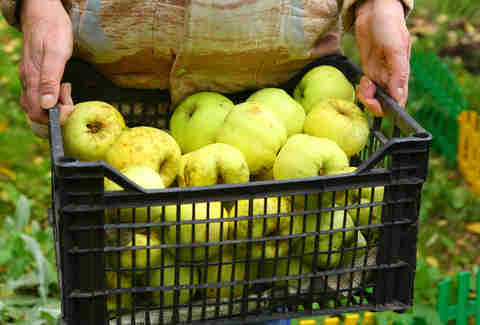 During September and early October, drive out to hand-pick a bushel full of apples, because apparently in Julian, a "bushel of apples" is a thing. If you're looking for a little less manual labor, most orchards have baskets for sale. Swing through the town on your way out to get a glimpse of the changing colors and grab a glass of hard apple cider from one of the many cideries in the area. Pair it with Julian's famous pie to feel what it's like to have a mouthful of fall. Michigan, Smichigan -- California can do apple picking just as good as the famed Midwest. If you've ever wondered what it'd be like to step into Lord of the Rings, look no further than the Yellow Deli. Its indoor wooded fortress makes it easy to forget the year as folk music gently lulls you into a sense of calm. The fireplaces that dot the restaurant are the perfect places to gather around and pretend it's autumn even though the thermostat disagrees. The ethereal ambience is a big draw, but the food is what keeps people coming back. It's farmed nearby and the menu changes with the seasons, but there are always staple sandwiches, like a meaty Reuben, and salads. While there aren't actually alpine trees in Alpine (deceiving, we know), it's still a great place to pretend it's fall. The area around the Cuyamaca Mountains has lots of rolling hills and very few other hikers. The colors don't change drastically, but it's one of the few places to escape crowds in San Diego County. 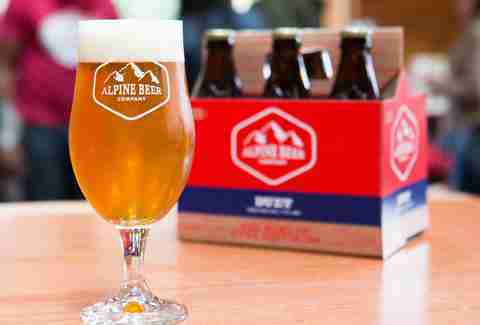 The hike is mostly an excuse to head to the Alpine Beer Company, which is home to one of San Diego's best IPAs, the Duet. Stop at the pub and grab some fried pickles for a deliciously salty post-hike treat. If beer and lederhosen don't scream fall, we don't know what does. 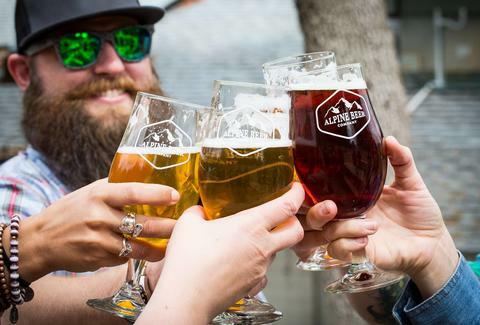 There is an Oktoberfest happening nearly every weekend of October throughout San Diego. Ocean Beach's German festival is perhaps the most notorious throughout the city, happening October 7th-8th, and the Gaslamp will have an inaugural celebration on October 8th. We'll "prost" to that! Starting in late September, the sunsets in San Diego become the stuff of picturesque postcards. Cotton-candy pinks and burnt oranges light up the sky in fall. 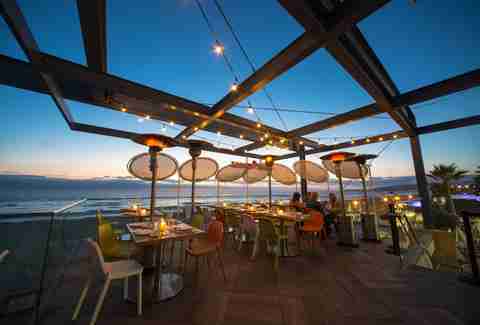 Instead of making a beeline for the beach, get a bird's-eye view of the sunset from a rooftop. Luckily, we've got you covered when it comes to which roofs are worth your time. 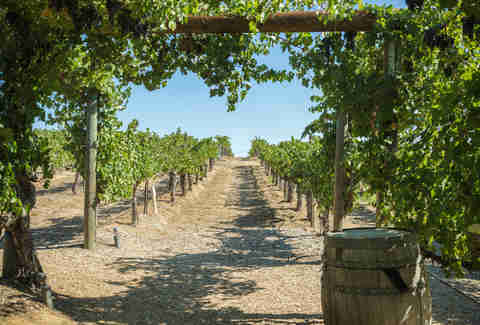 September and October are the harvest season in San Diego, so it's the perfect time check out the local wine regions. Escondido and Temecula both have tons of world-class vineyards open for tastings and tours. Bring along your favorite pumpkin-spiced pastry for extra fall feels. The wine goggles you'll pick up while tasting will also help you convince yourself you're experiencing a season. If you're worried about drinking and driving, don't be: Temecula provides guided tours, if you can rally a group of friends to rent out a bus or limo and are feeling especially classy. Farm life isn't exactly abundant in most of the city, so the closest we can get to cow tipping is placing bets on the ponies. 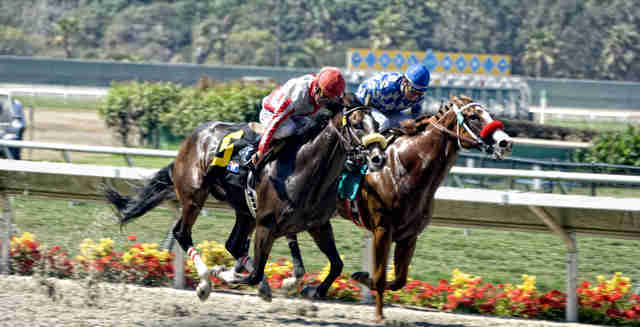 The second race season starts November 11th, most of the races happening Thursday through Sunday. Wear a (light) scarf to instantly get the autumn vibe. Plus it'll give you something to wave as the horses fly by. Going to the beach is a fall activity for many San Diegans since the weather is hotter in October than it is in June. To really ratchet up the fall factor, check out a beach with pumpkins. Every year, a pumpkin patch sprouts up across the parking lot from Swami's beach in Encinitas. The monks from the Self-Realization Fellowship grow these gourds and spend hours carving intricate designs into them. The decorated pumpkins are put on display on Halloween in front of the temple. Ellen Wright is a freelance writer at Thrillist who uses season changes as an excuse to go to breweries and wineries. Follow her on Twitter @PacificPolished.